These little yummies are amazing! They’re full of protein because of the sausage and the best part – they are EASY! Who doesn’t love an easy appetizer to take to a party! You’ll be asked to bring these every time, I’m telling’ ya! I love a good recipe that fits the bill for any occasion. Hosting for the Super Bowl? Try these! Having a Valentine’s Party? Make these! Having a birthday party? Make these! Want a special, just for you, snack? Make these! They’re that good! The hardest part? 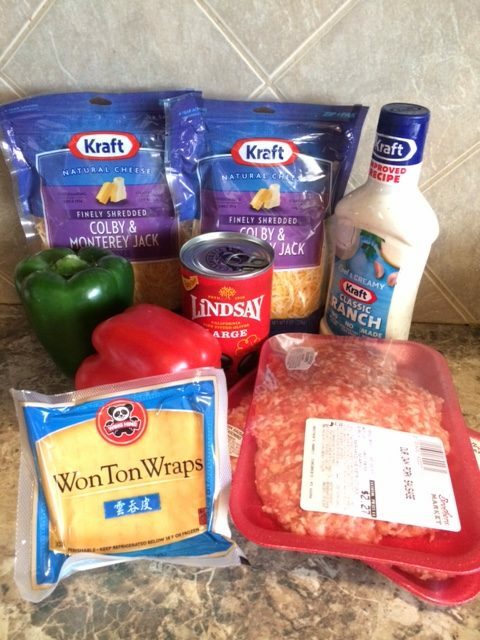 Browning the sausage and won ton wrappers – and seriously, my 8 year old can do that. I’ll just do the cutting for him 🙂 Here’s the details on what you need! Here’s how you’re going to place the wrappers in a cupcake pan. Bake them for about 10-15 minutes until they are a light golden brown. Next up, brown the sausage and cut the veggies! Mix everything in a bowl VIOLA! Spoon to delicious mixture into the browned Won Ton Wrappers and top with cheese. At this point, you’re gonna just want to devour them – but you can opt to stick them back in the oven and melt the cheese on top. Either way you do it, they’re not gonna last! Snag a few for yourself since you did all the work and display the rest to last about – 5 minutes MAX! YEP! They’re that good! Here’s a recipe for you to print so you have it ALL.THE.TIME! If you make them, let me know what you think!! THis is the perfect appetizer for any party you are hosting or attending! Be warned - they won't last long! 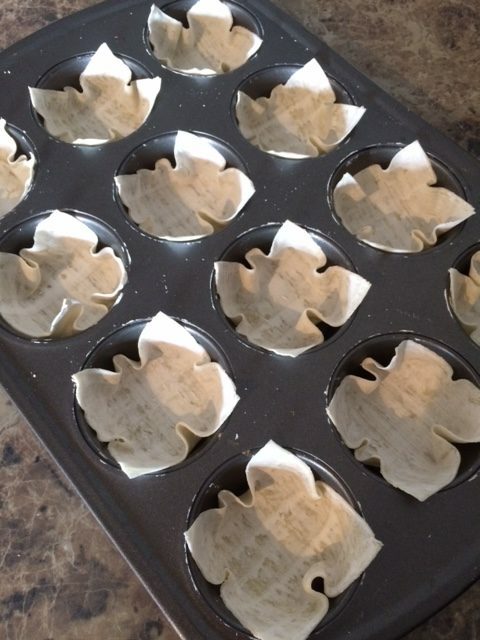 In a cupcake pan, place one wonton wrapper in each hole, pressing to form a cup. Bake at 350 degrees for 10 minutes or until lightly browned. Mix the sausage, peppers, black olives, and ranch dressing together. Add dressy until the mixture is wet and not runny. Ad one bag of shredded cheese. Spoon into browned wonton wrappers and top with remaining cheese. Pop back into the oven and heat until cheese is melted. What is your GO-TO recipe for entertaining? Did you like this post? I’d love for you to join my mailing list HERE! When you join, I’ll send you a my FREE Home Decor Printable’s that you can download immediately. Just my way of saying “thank you” and encouraging you to live your best life!! Progress is Sometimes Baby Steps - 3 EASY steps to your success! Those look really good! I’m not a fan of olives so I’ll make half with and half without! Those look super yummy! I will be trying them out for sure!! Looks good, minus the veggies for me! Thanks for all you do. Amazing stuff lady. Looks so good! Can’t wait to have somewhere to take these to! !